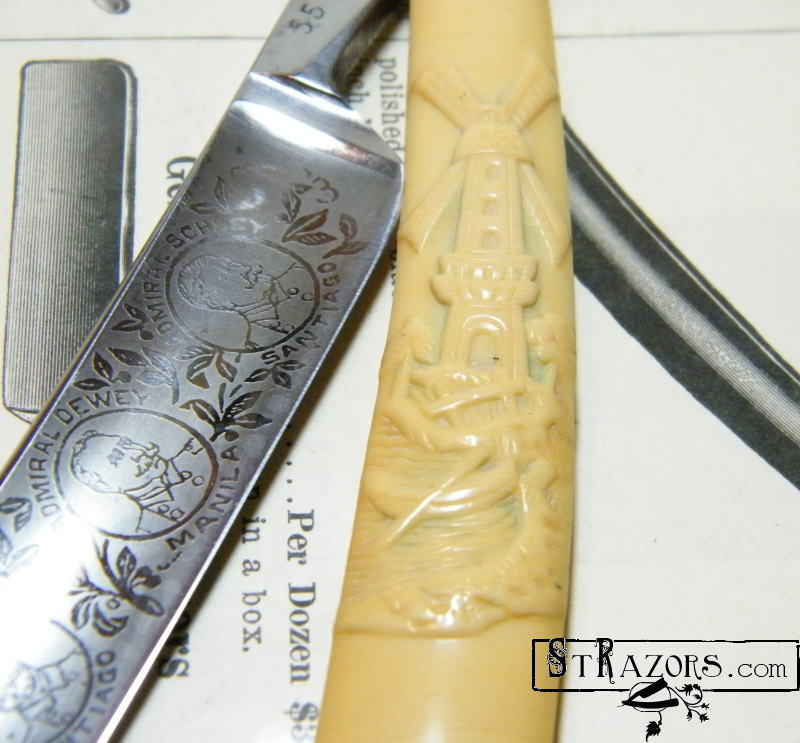 STRAZORS.com - all about classic razors - Windmill Pattern Razors. There were three pattern of windmill razor handles. 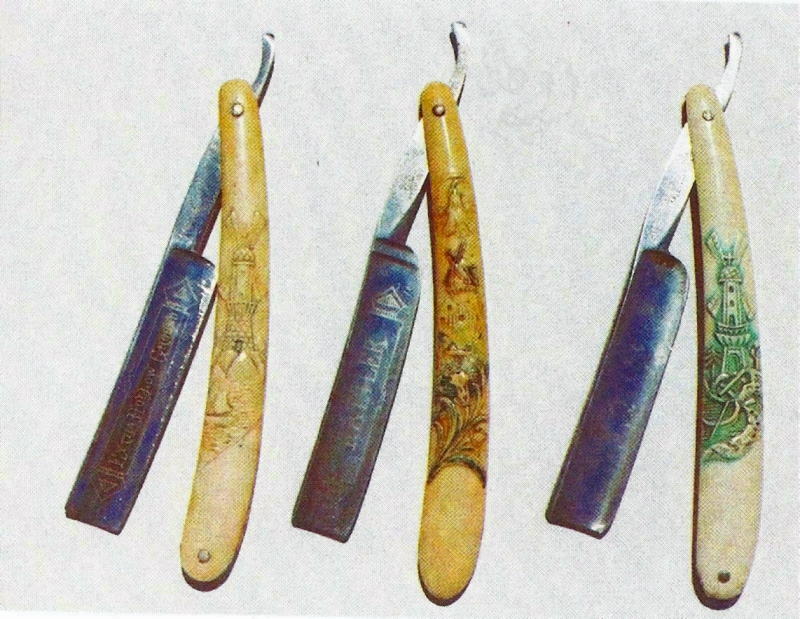 Most are molded of ivory colored celluloid, sometimes with grain lines similar to real ivory. Such handles were popular around the turn of the 20th century. The 1902 Witte Hardware Co. catalog shows an assortment of fancy celluloid styles. 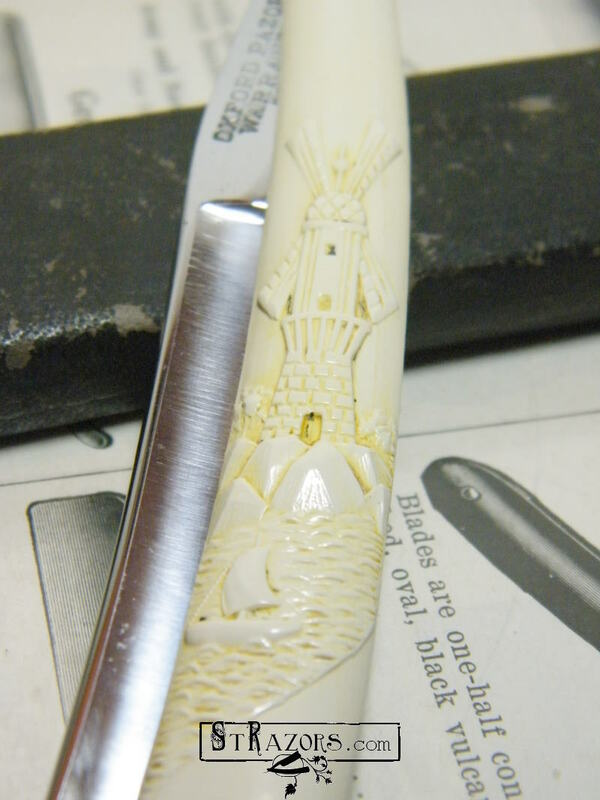 Two windmill patterns are included, both the rowboat style in ivory color and sailboat style in black celluloid. The most rare and difficult to find is the middle razor with W.H.Morley and Sons blade. Another razor of this style is marked on the shank "55S Sheffield Steel E, Made in Germany." The reverse side reads, "The Admirals". Oxford Razor, Germania Cutl.Works, Germany. Other razors with Fancy scales.